Ghassan Salame, head of UNSMIL, had announced today the postponement of the forthcoming National Conference (@multaqalibya) that was planned for 14-16 April in Ghadames. The postponement came on the back of the Khalifa Hafter-led Libyan National Army coalition of forces’ attack on Tripoli which started last Wednesday. In a long statement laying out his thinking, Salame saw the National Conference as means to achieving ‘‘a real solution to the Libyan crisis through a political settlement, a common charter and specific commitments that respect Libyan national constants and put the country on a path of healing and peace, restoring unity and sovereignty and empowering citizens to live in dignity’’. He explained that the use of the National Conference as the means to break Libya’s political stalemate came ‘‘after about a year and a half of broad consultation with all the Libyan factions and groups, and after the painstaking and delicate handling of local, regional and international constraints and imperatives’’. The UNSMIL head said that he had recently registered ‘‘the willingness of most actors to cede narrow interests and push for a political solution, and we have seen a picture of the practical options that must be placed at the table of dialogue and based on what Libyans have expressed in a clear form of principles, demands and red lines’’. Salame said that UNSMIL had ‘‘began to invite the Libyan personalities to attend the Libyan National Conference, not to install a political elite, as some have imagined or to share any cake, but to resolve the options that are circulating among Libyans and to make sure that the pop-up formulas are fair to all Libyans and faithful to what came during the Libyan consultation process’’. He confessed his surprise by the Khalifa Hafter military attack on Tripoli. ‘‘We were then surprised by the beating of the drums of war again by an unexpected attack and the resurgence of fighting between Libyans, threatening the political process and the hope of détente and undermining the minimum level of confidence necessary to launch any fruitful dialogue’’. As a result of the fighting, Salame said that UNSMIL had ‘‘decided to deal with this dangerous holdup with caution, responsibility and without haste so as not to contribute to the loss of the historic opportunity and to waste all this time that the Libyans have gone through tragedies, the deterioration of the standard of living, the depletion of their wealth and their patience’’. He nevertheless explained that ‘‘this caution, and this second one, does not mean that we will deviate even a bit from what we have committed to in front of tens of thousands of people who participated in our consultations and what I have expressed to all Libyans since the coming of your dear country: To do all we can to go as soon as possible to settle the unity of political institutions or To ensure the establishment of a unified, civil and democratic state, which respects the rights of all its citizens and provides justice to all its regions and social groups, where power is peacefully traded and the ballot box is invoked exclusively’’. ‘‘So’’, Salame stressed, ‘‘I repeat to you, more than ever, we will hold the National Conference as soon as possible because we do not have the right to allow this historic opportunity to be corrupted. At the same time, we cannot ask for the presence of the Conference, with the canons firing and the raids ongoing, without making sure that all those who are willing to respond to this historic national duty from all regions of the country are able to ensure their safety and freedom by expressing their opinion’’. Salame promised the Libyan people to ‘‘work with all my strength to hold the Libyan National Conference as soon as possible, without the exclusion or exception of anyone’’. This would happen when ‘‘the conditions for its success are reaffirmed, and the escalation is stopped, and reason and wisdom prevail, and to address the cracks that have struck the external attitudes towards the issue of Libya’’. It will be recalled that only on 20 March at a live press conference in Tripoli Salamé had announced that his planned National Conference would be held from 14 to 16 April at the relatively neutral political city of Ghadames. There had been concern that if Salame did not choose what was perceived as a neutral venue by Libya’s east and west they would not attend the National conference. Salame had said that there would be between 120-150 delegates at the event, all Libyan and representing all components of Libyan society. Participants were to be Libyan with no foreign parties present at the Conference. Keen to allay the fears and suspicions of the two Libyan Political Agreement bodies, and to secure their attendance, Salame had stressed that the Conference will not be an alternative to existing representative political institutions such as the Presidency Council, the House of Representatives (HoR) and the High State Council (HSC). The HoR and HSC have been worried that the Conference was Salame’s attempt to further weaken them and undermine their authority and legitimacy by by-passing them and going over their heads directly to the Libyan public. To this end, they had demanded to know more details in advance about the National Conference such as its agenda, make-up and number of attendees, location and authority of its outcomes. 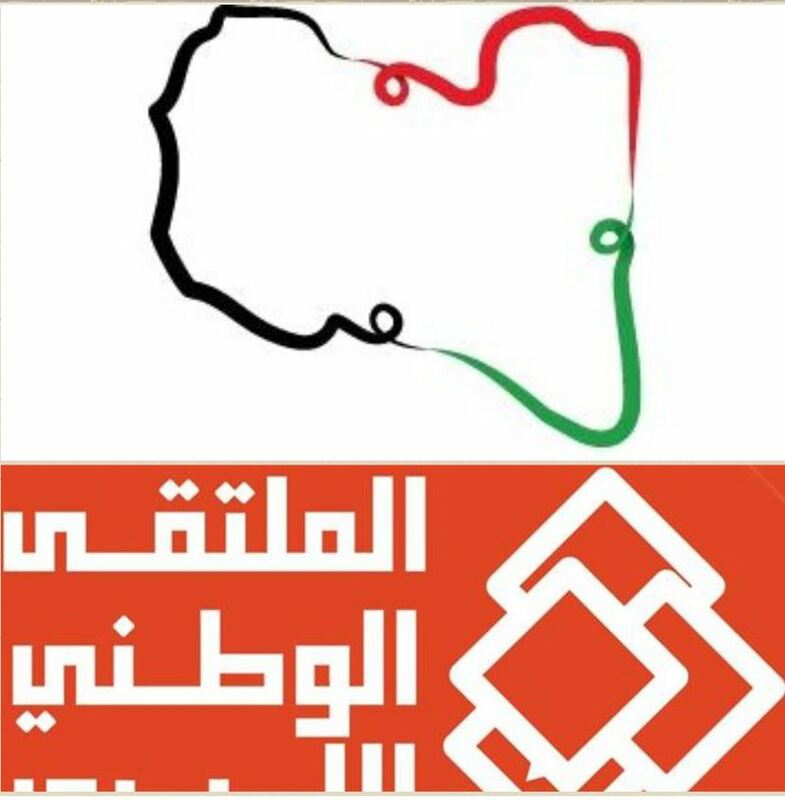 There have also been persistent rumours that the HoR / the east / Hafter and their allies in the west, have been or are planning an alternative National Conference to negate any possible negative outcomes from Salame’s National Conference. Salame also explained that the National Conference will not have executive powers but will offer recommendations. These will include recommendations on the date of presidential and parliamentary elections and the manner in which they will be carried out. He explained that It will then be for the HoR and the HSC to respond to the recommendations, but that the UN would endorse the recommendations made by the National Conference. However, in a thinly veiled threat, Salamé also said that if the HoR and HSC did not respond to the demands for elections of the silent Libyan majority of over 85 percent – he would find alternatives. It is thought that this may have pushed Hafter over into taking precipitative and pre-emptive military action against Tripoli in fear of the National Conference’s outcomes. Hafter’s critics would go further and maintain that Hafter was simply buying time or manoeuvring, and never had any intention of submitting to the outcomes of the Ghadames National Conference. It will be recalled that the National Conference was part of Ghassan Salame’s multi-pronged 2017 Libya Action Plan. This was intended to pressurise the HoR and HSC to break the political impasse, precipitate elections and take Libya out of its current transitional state. It will also be recalled that Salame’s UNSMIL had secured the services of the Geneva-based Centre for Humanitarian Dialogue (HD) to conduct a series of town hall meetings to canvass Libyan public opinion. Over 14 weeks, more than seventy-five meetings were held in Libya and abroad where over 7,000 Libyans had participated, a quarter of whom were women. Salame had reported that 2,000 submissions were received online. 130,000 followers have joined the consultative process on social media, generating half a million comments. Digital messaging reached over 1.800.000 persons. Salame said that this bottom-up process was an integral part of his Action Plan, putting the Libyan people at the heart of the political process, whoever or wherever they may be. For many communities, this was the first time they had been actively engaged in the political process and consulted on the future of their nation, he had explained. The National Conference local consultations, he had said, had provided a tremendous insight into the hopes, fears and visions of the Libyan people for a way forward. The next phase of the National Conference would be the distillation of the thousands of pages of reports into a full and final report with national conclusions and recommendations, to support the next steps out of transition, he had explained.